Work for ArcGIS Network Analyst? Learning about ArcGIS Network Analyst? "ESRI mapping programs are useful, but not the most user-friendly"
With most ArcGIS programs including ArcGlobe, ArcMap, and ArcScene, theere is a tool for almost anything you could want to do. The amount of different analyses and projections that these programs can do is far greater than the average person would need, and is much greater than QGIS or comporable free programs. The program itself is costly, and many of the tools do not come with the basic version, but must be purchased separately with packages. The basic version is great for making maps, displaying spatial data, and running simple analysis tools, but any more detailed analysis, for example all of the Spatial Analyst tools, must be purchased in addition to ArcMap. Also the program is not very user-frienly, often error messages pop up with no explanation. However, there are enough tutorials online to overcome this. This is the most comprehensive software available for large scale mapping of wildlife movement, and makes it easy to create high-quality maps for presentations and publications. "Highly Accurate for Drive Time Mapping"
I like that it is highly accurate. It works very well with ArcGIS for desktop as an extension. It is easy to use, there are many manuals online that can be used to assist in learning the tool. It computes drive service area analysis quickly. You need to locate or create a streets file in order to use the tool. Not for use by someone who does not have any ArcGIS experience. 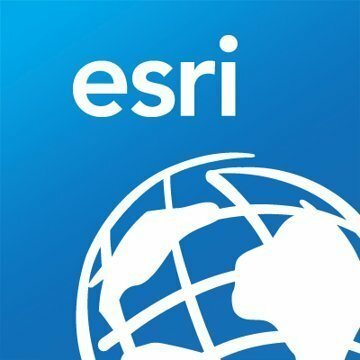 ESRI is very difficult to work with and their customer support is not the greatest at all. Highly reliable. Much better than a free mapping tool found on the internet. I cannot compare it to QGIS. We are able to find whether or not certain sites are within a particular distance of something such as airports. We are able to see how much of a population a site is within. It answers complex questions that you would think require a lot of analysis. "Very intuitive UI and great support"
We used a variety of ERSI products at the GIS lab Cal Poly Pomona. I teach in the business college and used the software in supporting my premise in my thesis for adding GIS technology to the business school curriculum. I mapped the demographic data to prepare a feasibility report for a start-up business in Rancho Cucamonga, CA and having thoroughly enjoyed the process, sought to build curriculum for incorporation into the college. The overall response from the students for my thesis was outstanding but I am still waiting to hear from fellow professors. I disliked the computing power required to build the maps. It is resource heavy and makes it a barrier to entry for smaller companies. I love how easy this program is to use. I started using ArcGIS as a complete beginner to the GIS world and was able to catch on very easily, especially with all the tutorials provided. I would say the only thing that I didn't like about ArcGIS was the Python programing aspect to it. ArcGIS helped with completing projects all around the world. You are able to pull up street maps in any urban areas and help map out and plan resolutions to certain issues. For example, as a trial run, we were able to work out a new transit system for a populated city. Although it wasn't a serious plan of action, it was a good way to know how to use this program if we actually needed it for something like that. "GIS Professional, formerly LiDAR Analyst"
Wide breadth of applications for the software with intuitive tools. Additionally high customization with a great deal of granularity to data measurement and visualization. Can be a little overwhelming and often has too many tools that you may not use regularly. I think it's a practical solution for larger businesses that are pursuing large datasets with a great deal of granularity. Large data sets for measurement in a LiDAR Environment. Visualization as well as analysis. It is a very robust software with a great deal of processing capability. Like any software you need to look for quirks. Setting this up is also not very intuitive; however it beats the early days of dynamic segmentation. I used location allocation to determine best locations for school sites. I use study areas to model the impact of charter schools opening and impacting our public schools. Also make transportation estimates as to how many students are eligible for bus transportation outside a two mile walkout. "Great software for keeping track of sewer systems"
The visual aspects of the program is great. Allows you to easily see what is going on in the system and easily identify each part of the system. The software is somewhat difficult to understand at first. It can be overwhelming if you have never used any GIS type of software before. But just like anything thing else, it gets easier with time and practice. It is a great software that is definitely worth the initial investment. If it is something that your company or business can use I would definitely recommend looking into it. Using the township's GIS system to review sewer segments and keep track of all their data. Inputting data can be a bit tricky at times. ArcGIS wants data in a particular manner. To combat the data fickleness, I suggest making an appointment with the support staff and have them walk you through how to work with the software. "great tool for supply chain analysis"
This tool allows you to use your own costs in a road network to find the least cost routes between two points. I use Network Analyst to perform siting analyses. Finding the best location for a new biorefinery based on minimizing costs from feedstock source points to the biorefinery. This was supposed to be the best available but I think they are misleading people. The program is a super memory and resource hog. You're better off using paper maps than this. It helps when you need to find the right areas that aren't on a paper map. It updates frequently which is good. "ArcGIS Network Analyst - How to get where you want to go"
A lot of functions to determine network connectivity, optimized routing, and distance to specific locations. You will need to scrub the input data for best results. Get trained on how to use it. How long it would take to get from Point A to Point. Coverage within a given time frame. ArcGIS in general is such a great GIS tool, so it was great to find out that there Network Analyst tool was an added feature. It was easy to use and provided great results. The results were sometimes slow to load, especially with larger datasets. Requires some knowledge of the already existing ArcGIS software. Working in the transportation industry, accurate spatial analysis tools are a must and this is what was provided. "Great for advanced routing solutions"
The fact that we can add a lot of constraints to not only the network dataset we create, but also the routing operations. There should be a better resource with column names for the attribute tables that the operations run off. There is a steep training curve. Make sure your network dataset is done well!!!!!! "COnnect your office with ease"
Broad access to the GIS platform ensures that everyone in our office is connected, which allows us to do more. Which also means less redundant and useless work. Not much to say I don't like. Could be a little more user friendly but easy to learn. company car tracking and site locations of certain key features for job sites. "Network Analyst has helped a great deal in finding and isolating leaks in our water network,." I like the relative ease of use and the ability to give our user and web app that they can use with little knowledge of GIS. The web app can be clunky unless you know how to work with code to make an easier web app. Assisting user with water line leak isolations. "My experience with ArcGIS Network Analyst"
The best thing about ArcGIS Network Analyst is that it provides a very nice idea about the routes and network. I mainly use it for my personal use cases. I like the UI and the flexibility of the application. UX could be more improved by adding a few features. The options made available for statistical analysis. Utilizing road network data to determine the wood mill markets available for a parcel of land being considered for purchase. It took me some time to get spun up on all the software could do. The ability to find, through visualization, a shortest distance to a subject. * We monitor all ArcGIS Network Analyst reviews to prevent fraudulent reviews and keep review quality high. We do not post reviews by company employees or direct competitors. Validated reviews require the user to submit a screenshot of the product containing their user ID, in order to verify a user is an actual user of the product. Hi there! Are you looking to implement a solution like ArcGIS Network Analyst?